I’m a huge fan of dried Turkish Figs. Turkish Figs Yum! I love these things. Here in Fort Worth, I go to Sprouts and buy them in the bulk foods section. I just ate 8 of them. The flavor is so unique to me. It’s not quite like licorice but a hint seems to dwell in the recesses of its thick, rich sweetness. The crunch of the tiny seeds adds a kinetic feel to them. They have a tactile energy that I love. It invites me to consume even more. They’re so lush in texture that I could lay back, imagining someone, she’s sweet too, feeding me while I recline in pure luxury. Figs do my taste buds good. On a side note: I’m about to start a cleanse. As an overweight man, I need to get in better shape so that I can enjoy the rest of my life with gusto. I’m going to commit right now to lose one hundred pounds over the next seven months. I know it will be difficult, but I have lived a near sedentary life for twenty years, and if I don’t get active, I’ll be dead in a few years. By the time I was finished playing, I was worn out but I felt good and planned on returning the next weekend. What happened to me though wasn’t expected, though I should have known. I’m not indestructible anymore. The aches and pains that followed for the next ten days or so gave me pause. I’m intending to get back out there, but in this shape, I have to be careful. From here on I’ll hit the court on a full stomach and a cleansed system and be dropping weight each week before I go play tennis. How do Turkish Figs fit into the rest of this post? Simple, it’s a weakness. It’s a fundamental flaw of character to some, but to me, it’s a simple flaw in the human organism. A combination of psychological and physiological processes that convince people that they must have, that they need something that makes them feel better when they have it, good or deadly. 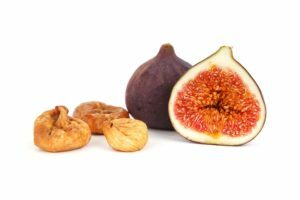 I love Turkish Figs, the dried ones that I get from Sprouts, but should I stop eating them? I don’t think so. I think if something gives you pleasure beyond condition, outside the bounds of compulsion, then it can’t really be bad to have it from time to time. It’s my hope that I will flush my body clean and clear of most if not all toxins and once again enjoy figs, beer, wine, tequila, gin, avocados, manicotti, and so many other foods I used to enjoy and consume, when I was twenty-nine and weighed a mere one hundred and fifty-five pounds.